I feel like it’s a good idea to always have at least one great date night spot in every neighborhood. San Francisco’s Financial District is pretty quiet at night compared to the rest of the city, so it isn’t always too easy to find a great place to serve this purpose. 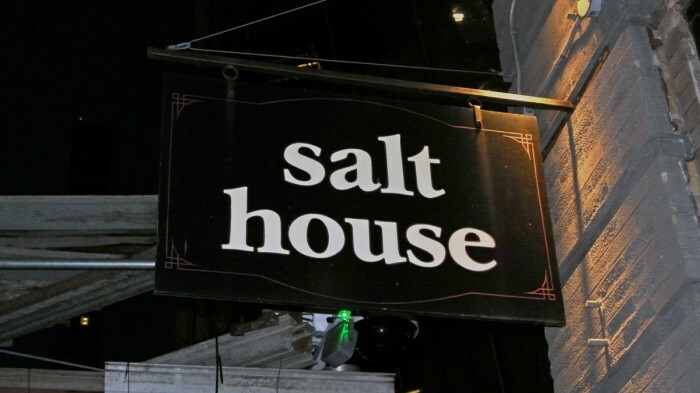 One night I was in the area looking for a nice place to take Amy to and I stumbled upon Salt House which I seemed like it might very well fit the evening’s bill. The decor was really nicely executed with it’s rustic Edison bulb and iron beam clad dining space. It’s actually a refurbished printing press warehouse built in 1907 and the lighting was kept low so it definitely felt like a nice spot to take someone to for a special night out. As is the case with most nice restaurants these days, Salt House has a proprietary cocktail list loaded with unusual sounding concoctions. 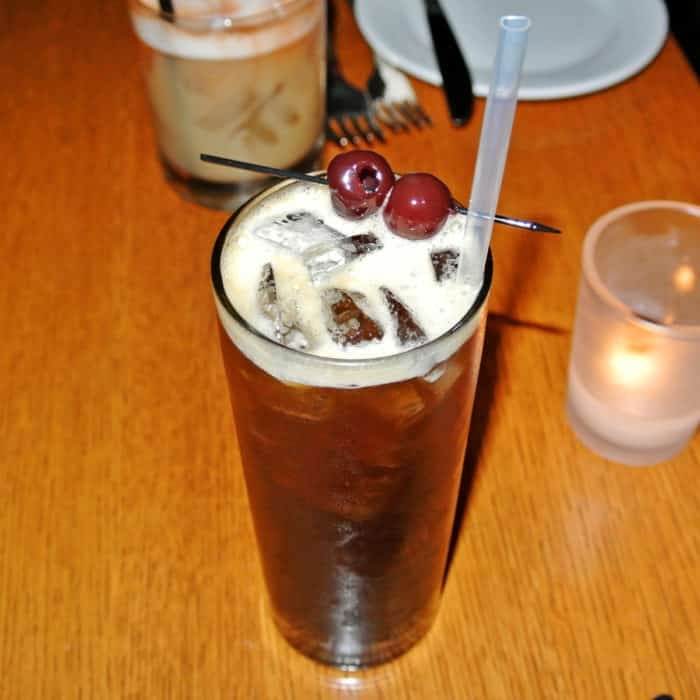 I went for a Barrel Runner made with Bulleit Rye, pomegranate apple molasses, Benedictine, and Rasputin Stout which tasted quite a lot like an alcoholic root beer and I mean in the most positive and complimentary way possible. It was delicious and as a root beer lover, I was very very into it. 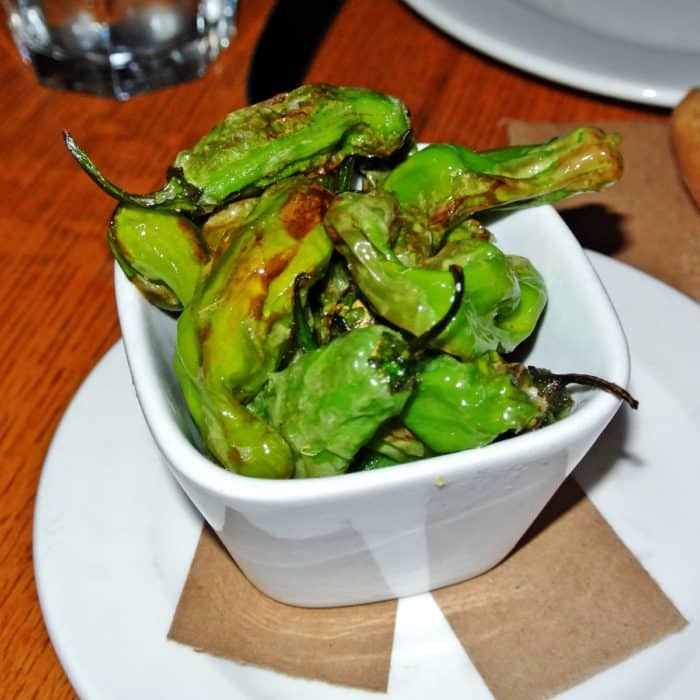 We then split an appetizer of our recent go-to: shishito peppers, here called Blistered Peppers, which were perfectly acceptable though perhaps a little under-salted and under-seasoned if you ask me. We also split an appetizer over-simply named Poached Egg and holy crap was that thing was amazing. Honestly, it was kind of like the most epically perfect brunch dish served as a dinner appetizer. 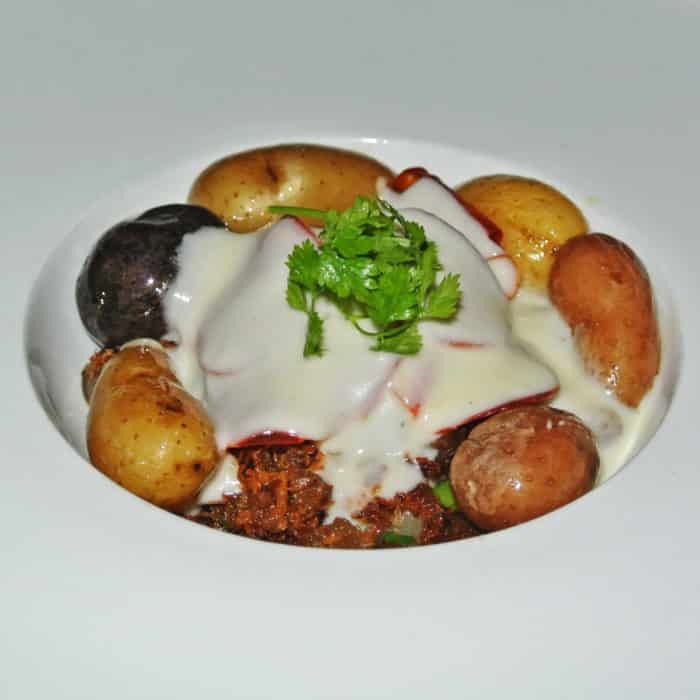 It involved a rich bean stew called white bean fabada loaded with plenty of meaty chorizo, morcilla (blood sausage), and serrano ham along with a variety of hearty root vegetables including snappy marble potatoes which was all smothered in a lusciously creamy sauce along with a perfectly poached egg with runny yolk. It was ridiculously flavorful and definitely worth getting if you’re dining at Salt House. It just seems like a shame and missed opportunity that they don’t serve this impressive creation for brunch. I’d come back for that! 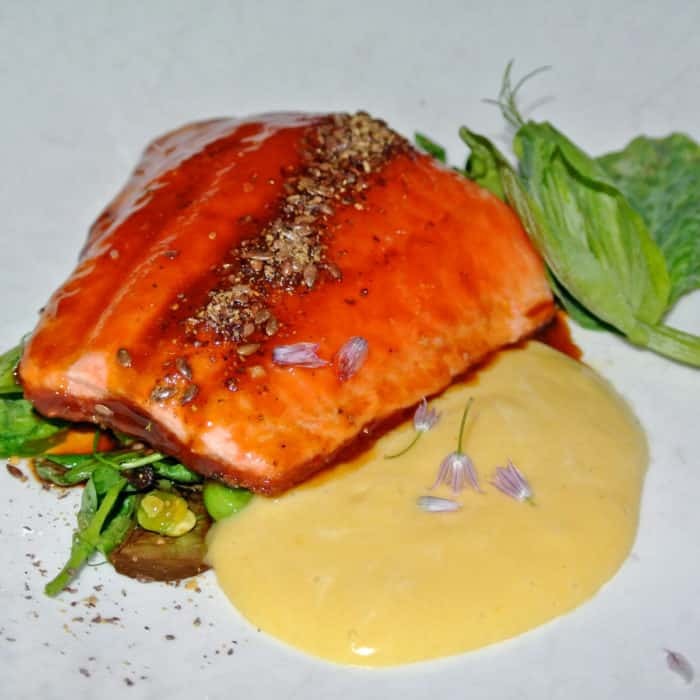 And finally, I closed out my meal with a relatively healthy option – the Arctic Char. It was minimalistically plated and was glazed liberally with something sticky and sweet. It was also beautifully garnished with small, lilac-colored edible flowers and what I think was the Middle Eastern spice blend called dukkah. All in all, it was very pleasant and competently prepared, but I didn’t find anything about the flavors to be too exciting or out of the ordinary. So, if I end up needing a great date night spot in the Financial District again, I’d definitely consider returning to Salt House. It was a bit pricey, but everything was done very nicely, especially the cocktails and Poached Egg dish. But given my desire to explore, I just may be inclined to give someplace new a shot next time. 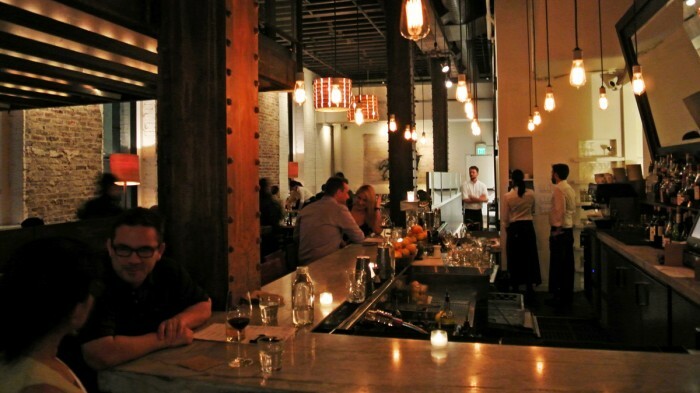 Know of another great place for a date in the SF Financial District? Let me know in the comments below. Previous PostOutstanding Sustainable Seafood on the Sausalito Waterfront at Fish.